Admission: ISK 900 for adults, ISK 100 for children Daily 9am-5pm (October to April) and 9am-9pm (May to September). Closed during Sunday mass. This landmark church, one of the tallest buildings in Iceland, dominates the city from its highest point and is visible on a sunny day from up to 10 miles (16km) away. Named after the 17th-century Icelandic poet, hymn composer and clergyman, Hallgrimur Petursson, the church's unusual design includes volcanic basalt columns flanking its towering steeple. It took more than 40 years to build the edifice, which was finally completed in 1986. In front of the church stands a statue of Leif Eriksson, donated to Iceland by the United States. The church is lovely inside but even those uninterested in exploring this place of worship will be impressed by the striking facade. It is possible to climb the tower for views over the city. Although Iceland is better known for more stark, rocky landscapes, a walk in Reykjavik's gardens will convince travellers of the country's more lush and flowery offerings. The pretty Reykjavik Botanic Garden is a haven for strollers, enshrining about 5,000 plant species, including a large collection of Icelandic indigenous plants and other plant collections, which give an idea of the enormous diversity of vegetation in the northern temperate zone. Besides walking trails and water features, the garden has a display greenhouse where a cosy café is open during the summer months. Located close to the garden is the Reykjavik Zoo and Family Park. The gardens are open all year round, though opening times may vary season to season and there is less to see in the colder months. Admission is free. Einar Jónsson was Iceland's foremost sculptor, and he himself designed and established this museum, which contains over 300 of his works spanning his 60-year career. The museum building itself is deemed to be Jónsson's largest work, and served as his home, gallery and studio. The foundation stone was laid in 1916; it was Iceland's first art museum and retains pride of place on the highest point in Reykjavik. It is adjoined by a pristine, leafy sculpture garden, which sports about 26 bronze casts of the artist's work. There is also a museum shop selling plaster casts of Jónsson's works, books and postcards. Travellers should note that the museum is closed on Mondays and for the whole of January and February. All other admission details can be found on the official website listed below. Admission: 6990 ISK for the Comfort package Opening times are seasonal, but Blue Lagoon is generally open 8am to 9pm. A favourite and unique attraction close to Reykjavik, about 30 miles (50km) southwest of the city, is the man-made geothermal 'Blue Lagoon', set in a lava field, filled with mineral-rich hot water pumped from about a mile below the surface. The lagoon is flanked by a luxurious health spa where visitors come to be pampered and treated for skin ailments like eczema and psoriasis. The lagoon's surreal phosphorescent aquamarine colour is caused by the therapeutic ecosystem of algae, silica and minerals in the water. The Blueline bus company offers transport to and from the Blue Lagoon, and other transport options are outlined on the official website. Visitors should note that the Blue Lagoon is very popular and should be booked as far in advance as possible to avoid disappointment. The opening times change seasonally and can be found on the website listed below. The national park of Thingvellir, 30 miles (50km) east of Reykjavik, is not only Iceland's most important historic site, but also a place of natural and geological wonder. It was here that the world's first-ever parliament, the Alting, initially convened in AD 930, and where Christianity was first introduced to Iceland. Even today, people gather at Thingvellir to celebrate any major national event. Geologically, this is the only site in the world where the American and European tectonic plates are visible; and the park is also home to the largest lake in Iceland, and stunning scenery including a lava gorge, the Oxararfoss Waterfall, and the 'Money Chasm', where visitors drop coins down a gorge into water, to witness the strange distorted reflections that result. 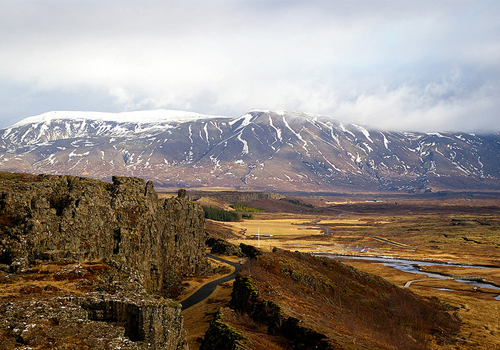 Activities available at Thingvellir National Park include hiking, angling, horseback riding, diving and camping. The national park is open all year and in the warmer months a daily bus visits the park from Reykjavik. The Aurora Borealis - or Northern Lights - is one of nature's most celebrated and most beautiful phenomena. The magical dancing blue and green light is caused by collisions between charged particles in the highest reaches of the earth's atmosphere, but most people watching the display are not thinking about the science behind it. Witnessing the spectacular lightshow is a numinous and unforgettable experience. Visitors to Iceland will be pleased to know that, due to the country's latitudinal position, spotting the Aurora Borealis is commonplace between September and April - just head away from the city lights on a clear, crisp night, and the otherworldly glow in the night sky soon becomes apparent. Although somewhat of a 'routine' display for locals, for tourists the chance of seeing the Northern Lights may well be one of the main motivators for choosing Iceland as a travel destination. There are websites that make predictions on the likelihood of seeing the lights and it may be worth checking these out while planning your travel itinerary. Many of the locals will also be able to offer advice about the best places and times to see the Aurora Borealis. The further away from urban areas you get, the more intense the lights are likely to be. Jökulsárlón - literally, 'glacier lagoon' - is the largest glacial lake in Iceland, and an enormously popular tourist attraction. The site shot to prominence after being featured in Hollywood movies (most memorably, Batman Begins), and now attracts thousands of visitors each year. Caused by the retreat of the glacier known as Breiðamerkurjökull, the lagoon is now nearly a mile (1.5km) from the ocean's edge, and is over 814 feet (248m) deep. Most easily approached from the fishing-town of Höfn on Iceland's southern coast, visitors in search of an indelible memory of their time in Iceland should definitely make the trip to Jökulsárlón, where luminous blue icebergs float eerily across the freezing water. Whatever you do, don't forget to pack a camera - Jökulsárlón is undoubtedly one of the best sights Iceland has to offer, and in such a staggeringly beautiful country, that's really saying something. Never mind the Vikings, one of Iceland's most interesting cultural drawcards must surely be the Huldufólk, or 'Hidden People'. In Icelandic folklore, the Huldufólk are akin to elves - invisible, non-threatening, magical beings, that can be observed by humans with a talent for communicating with the 'hidden realm' of being. A large proportion of Iceland's population reputedly believe in the Huldufólk and they are an important element of the country's folklore and national identity. Visitors to Iceland will gain a lot of insight into the culture by exploring the concept a little. Recommended Huldufólk-related activities include a visit to Reykjavik's Hellisgerdi Lava Park (which is supposedly full of elvin homes); a trip to the Museum of Icelandic Wonders in Stokkseyri (just 37 miles/60km from the capital); and, for the really enthusiastic, a half-day course at Magnús Skarphedinsson's Álfaskólinn, the Icelandic Elf School, where you'll learn all about the 'hidden realm', and even receive a diploma to prove it. Iceland is said to be home to the best salmon fishing in the world, with over 100 runs, almost a quarter of which are first-class fishing holes. While sea fishing remains mostly the domain of commercial fishermen, tourists will find equally prosperous waters inland. The island is pocketed with lakes which make for great trout fishing and more well-rounded family vacations. Some of the best and most scenic lakes are in the highlands. However, aficionados will want to head to the rivers, fly rod in tow. Almost all fishing rivers can be driven to but it's best to arrange things through a tour operator, or travel with a guide who can also arrange fishing permits, a suitable vehicle and nearby lodging. The best salmon rivers all have impossible to pronounce names, such as Breiddalsa and Hrutafjardara making it tough to ask for directions. All of Iceland's rivers are very well regulated so limited rods are allowed on the same river at any one time. It is wise to arrange with a guide well in advance of the visit to assure a spot. Salmon season is June to September and trout season is June to October. Ice fishing in the winter is also an option to get the ones that got away in summer; leave the waders and bring a jacket. Iceland offers a wealth of exciting outdoor sports opportunities to visitors - fishing, angling, hiking, camping, kayaking, skiing, mountain biking, golfing and scuba diving, to name but a few - but the great lure for real outdoor enthusiasts must be glacier trekking. 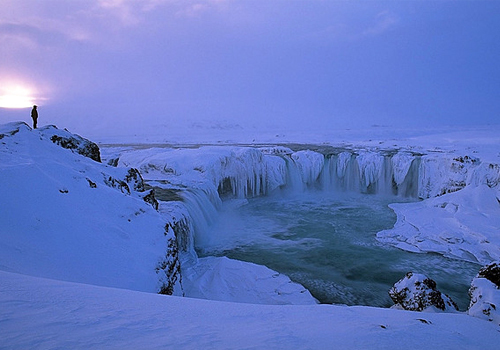 There are many excellent, reputable tour companies offering visitors to Iceland the chance to unleash their inner Arctic explorer and experience Iceland's astounding natural bounty hands-on. Your adventure could consist of about seven hours of walking across the snow-blown, translucent landscape by day, before being fed and entertained while camping out on the freezing icefields at night. There are day-long tours available for less extreme personalities or less experienced trekkers, and some tours which combine glacier trekking with plenty of time spent camping next to hot springs and doing other, more relaxing things. Snæfellsjökull glacier is probably the pick of the explorable terrains but Iceland boasts many potential areas for this sort of activity. Travellers would be wrong to assume that glacier trekking is only possible in the summer months as many tour operators actually offer glacier tours and treks year-round. The frosty winter months, from November to February, have a beauty of their own, but inexperienced hikers may well be put off by the limited daylight which makes multi-day treks less popular for obvious reasons. Glacier trekking is a potentially dangerous activity and all hikers and climbers should ensure they are using a reputable tour company and good, safe gear - a capable guide can make all the difference so research your options ahead of time. Situated in one of the oldest houses in the centre of Reykjavik, Restaurant Lækjarbrekka is a classic Icelandic eatery serving traditional fare in a warm and relaxed atmosphere. Don't be shocked to find horse carpaccio or whale on the menu as these are local delicacies in Iceland. Enjoy the langoustine soup with cognac and cream, while brave diners can sample a traditional Icelandic dish, grilled steak of Minke whale with mashed potatoes and Brennivin sauce. After dinner retire upstairs to the bar and cognac room to sip on an aperitif and enjoy the Icelandic hospitality. Open daily for lunch and dinner. Bookings recommended. A restaurant perpetually full, and always full of local Icelanders, 3 Frakkar has been described at the 'best-kept secret' of the Reykjavik restaurant scene. Tucked away in a residential neighbourhood, the restaurant is cosy and quaint, and has a world-famous selection of (mainly) fish and seafood dishes. An ideal venue for a date, be sure to book well ahead. Named after the Norse god of mischief, Kaffi Loki is a cosy little place for a quick lunch or a slice of cake. It's centrally located just across the street from Halgrimskirkja and has a beautiful mural depicting its namesake. Try the rye bread ice cream for a unique taste experience or more traditional Icelandic fare like fermented shark. Open daily for breakfast, lunch and dinner. 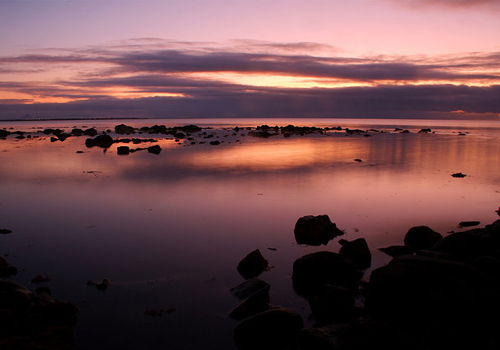 Fine dining in Iceland is typically centered on the incredibly fresh and wholesome seafood. Fiskfelagid makes the most of these assets with their celebrated cuisine served in stylish surrounds. Try the "tour of Iceland" which is a tasting menu of modern interpretations of traditional dishes. The lobster pizza is also interesting. The service is friendly and skilled.